Well, this is news; Though it as common as rain in some ways. 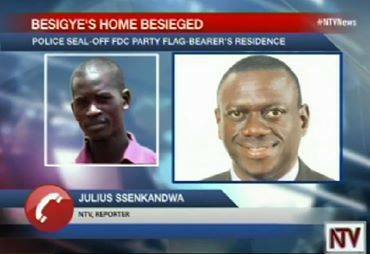 Preventive arrest off the FDC Flag-Bearer is so common that it’s becoming tragic. The police officers are sieging the house which in uniforms and in civilian. There even been set three roads all covering and shutting the traffic to his house. The UPF must really be a tool of the NRM-Regime. The tool that is fixated on stressing the life of the opposition leaders. Especailly Dr. Kizza Besigye, they more often at his home then they are at their own office. Congratulation to Kampala Police and the Police Officers, which set yet another time the FDC leader under yet another House Arrest! Seriously, FDC has already told their plan for rallies in the Eastern this coming weekend and this happening before that. Especially with the terrible weekend that was in the Western Uganda in Lyantonde and Masaka area, also the issues in Rukungiri. We can see that now the Uganda Police want to stop them before even crossing to Jinja or other places they wanted to have rallies. Where is the Multi-Party democracy and how come Museveni can campaign freely and go to Kasese and Gulu with no issues while FDC has issues and their leader can’t even move from his home? 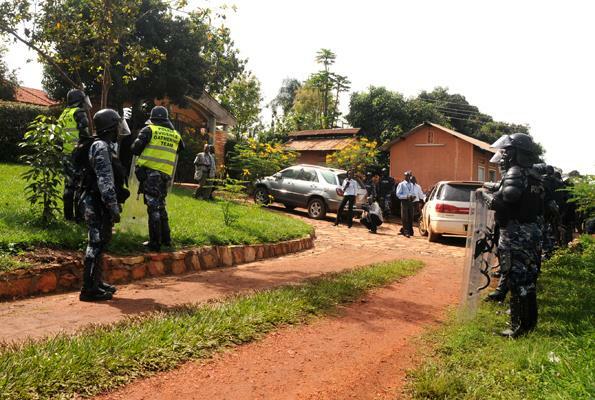 Dr. Kizza Besigye: “These men in Uganda police Uniform have again sealed off my home. Am I not entitled to something I can call a home in Uganda? I am really fed up with this” – He commented on Social Media! And this isn’t a first time, this a nearly a general rule, it isn’t many months since he tried to go to a Ambassador for a talk. But couldn’t and wasn’t allowed to travel to the Embassy where he was schedule. The proud UPF has done it again. As I write I can assure the writer that until General Election and Presidential Election in 2016. Dr. Kizza Besigye will have more trouble with the Police not because of his actions or program as a Presidential Flag-bearer. 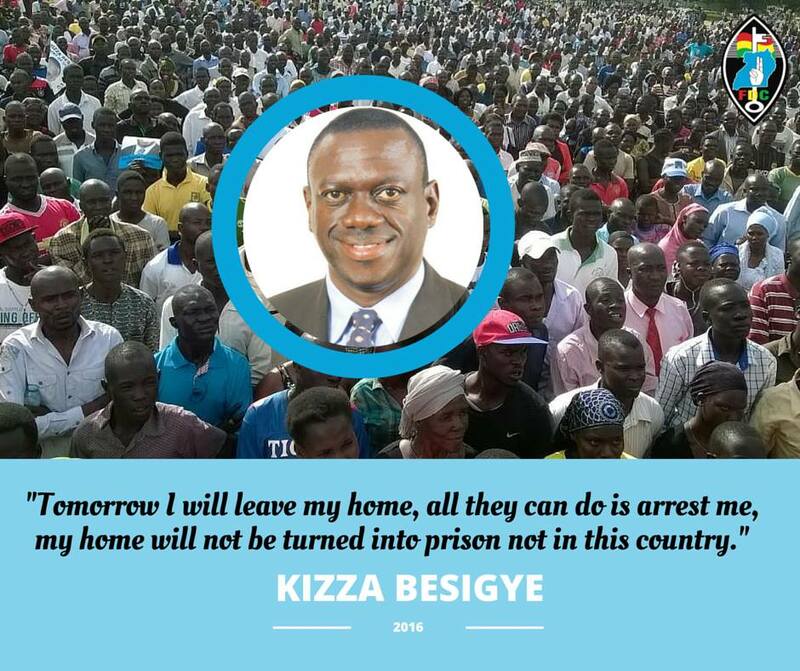 But because the Police as a tool for the NRM-Regime will harass and distress, even jail him for no reason, because Dr. Kizza Besigye is feared for his persistence and honest approach to politics and electoral reform, which is in starch contrast to the Yoweri Kaguta Museveni and his NRM-Regime. Peace.